Your waterfront dream home awaits you! 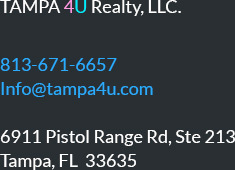 turn key furnished home with dock provides unobstructed open access to Tampa Bay also, terrific VRBO/Air B N B opportunity with strong 38-40K rental history provided upon request. Enjoy your Florida lifestyle & take advantage of investment potential with all services in place! Well maintained, tastefully decorated & TURNKEY Gourmet kitchen has custom cabinets, granite counters, stainless appliance package! Bright, open plan is freshly painted! features FRENCH DOORS FROM GREAT ROOM & MASTER! Master & hall baths have granite counters! AC replaced 3 years ago & seawall within last few years! Fall in love with the best spot on the Alafia River! Perfect for BOATING, FISHING, WATER SPORTS! Be on OPEN BAY WATER IN MINUTES! Home boasts MILES OF TILE with SPECTACULAR VIEW FROM GREAT ROOM, MASTER BEDROOM & BREAKFAST NOOK! Relax on open patio/barbeque area! Walkway leads to your personal dock & boat lift (26.4 Robalo now in lift). Shopping & restaurants are just minutes away. Tampa's Channelside district & exciting downtown Tampa are a quick 25 minute commute! EZ drive to top SW Florida Clearwater, Bradenton & Sarasota beaches! Don't miss out on this RARE FIND! PREPARE TO FALL IN LOVE!